Food Tour in Raleigh, N.C.
With a bustling food and beverage scene, downtown Raleigh offers some tasty bites and drinks. Check out this by-the-hour itinerary for the perfect, full-day food tour of the City of Oaks! Kick things off in the Moore Square district of downtown Raleigh by grabbing a coffee at Sir Walter Coffee. This cafe offers pour-overs, cold brews and coffeehouse-inspired mocktails in the morning. Ask the barista to make an off-menu drink for something extra special! The outdoor seating is perfect on a warm, sunny morning, or you can grab your drink to-go and walk to Moore Square itself to sip your beverage in the park. Take a stroll to nearby City Market after your cup of coffee for the next stop. 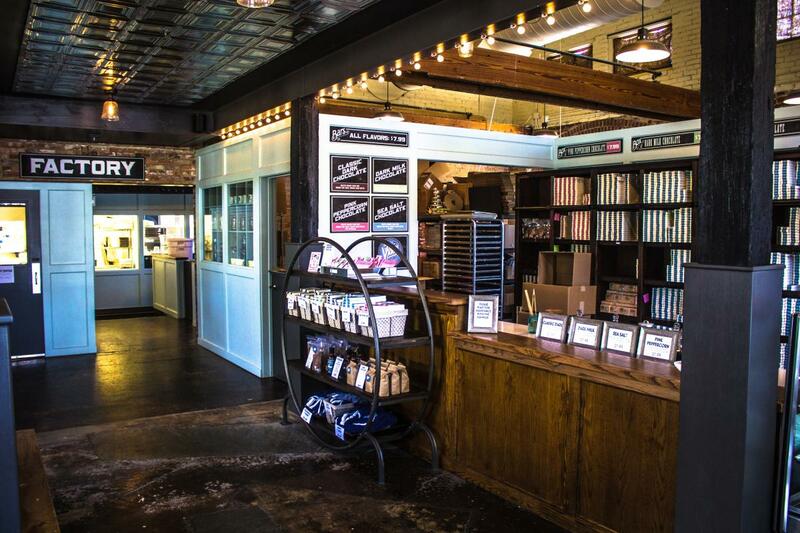 If you’re craving something down-home and Southern for breakfast, Big Ed&apos;s City Market Restaurant is the place to be. Known for hotcakes bigger than your hands, Big Ed&apos;s in City Market is the perfect spot for breakfast. Antiques and farm equipment hang from the ceiling, adding to the unique Southern charm of this Raleigh institution. Southern classics are found on Big Ed&apos;s menu like country ham biscuits and biscuits with sausage gravy. 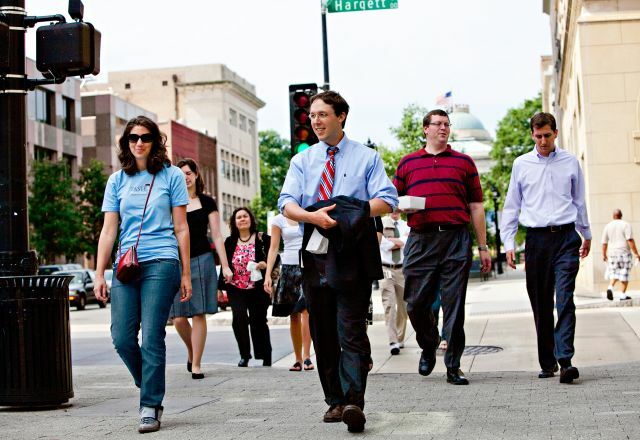 Tighten up your laces and walk over to Tasty Beverage, or take advantage of the free parking at the Depot in downtown Raleigh’s Warehouse District (for Depot customers only). This fun bottle shop offers an excellent variety of craft beers ranging from hard-to-find international to local beers. Shop around the store and mix-and-match your own six pack of craft beers to bring home! 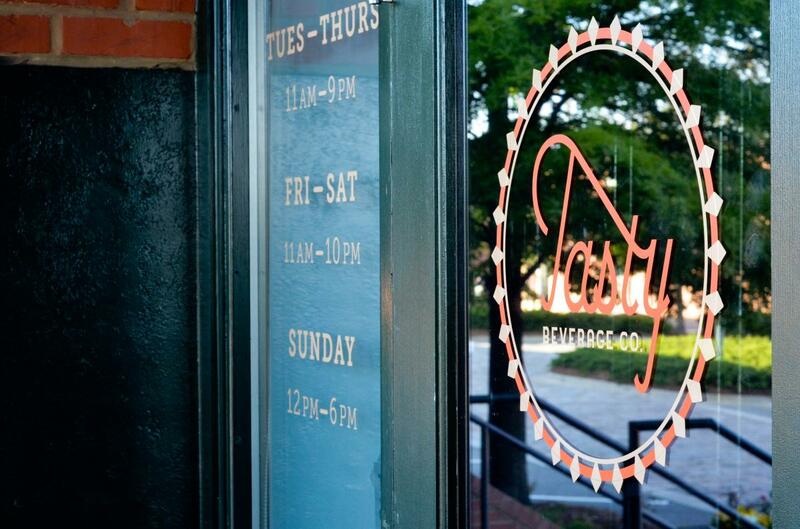 You can also enjoy a pint of beer from Tasty Beverage’s rotating draft list in the store as you shop. If the weather is nice, take advantage of lounging on the nice patio outside of the bottle shop. Walk a few doors down to Videri Chocolate Factory for a cool, sweet treat—frozen hot chocolate! Sip on this icy, chocolaty beverage as you tour the factory and see the chocolate-making process right before your eyes. From bean to bliss, don&apos;t forget to grab a few handcrafted chocolate bars to take home with you, too! Grab a light, healthy lunch at Raleigh Raw. Raleigh Raw features an organic, raw juice bar and cafe offering smoothies, coffee and specialty drinks and savory bowls. Poke is truly the star of the show at Raleigh Raw. Try "The Hustle" poke bowl, which includes chives, dragon fruit, jalapeños, pistachio dust, sesame asparagus, seaweed salad, shallots and microgreens. Is it wine o&apos;clock yet? Always at Vita Vite! Dedicated to showcasing Southern artists, owner Lindsay Rice’s unique art collection covers Vita Vite’s industrial walls and adds a pop of color to each corner. Sit back with a glass of vino, relax in a comfortable chair and relish in the beauty of the artwork that covers Vita Vite’s walls. If you need a snack, the burrata is delicious when paired with a few different types of charcuterie. In the summer, try the “frosé,” frozen rosé with pureed strawberries and garnished with fresh mint. A trip to the City of Oaks isn’t complete without visiting James Beard Award-winning chef Ashley Christensen’s Poole’s Diner. 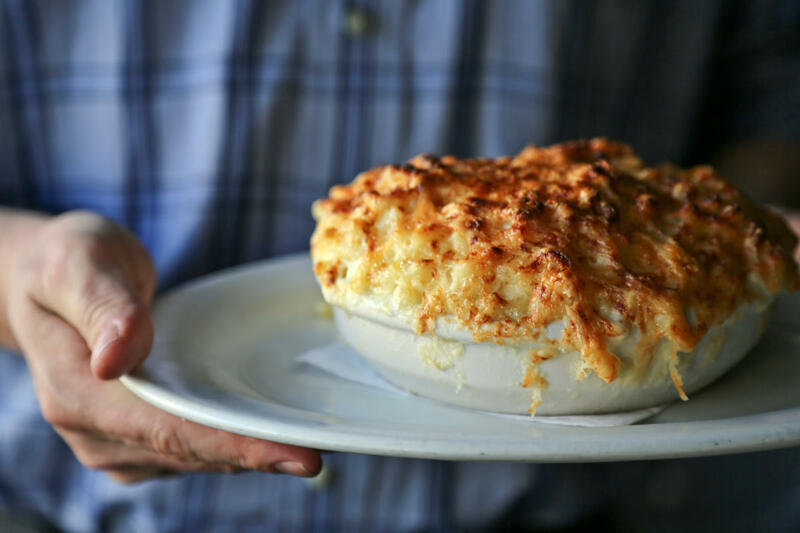 Definitely plan to share the “Macaroni au gratin,” which includes a mound of macaroni noodles covered with three different types of cheeses, then broiled to become caramelized on top. With an ever-changing chalkboard menu featuring seasonal fruits and vegetables as well as local meat products, there’s a wide range of options at this Fayetteville Street district establishment. Let’s hope you saved room for dessert! Founded by award-winning pastry chef Daniel Benjamin, previously of the The Umstead Hotel and Spa, lucettegrace is a contemporary patisserie just two blocks from Poole&apos;s (as the crow flies). 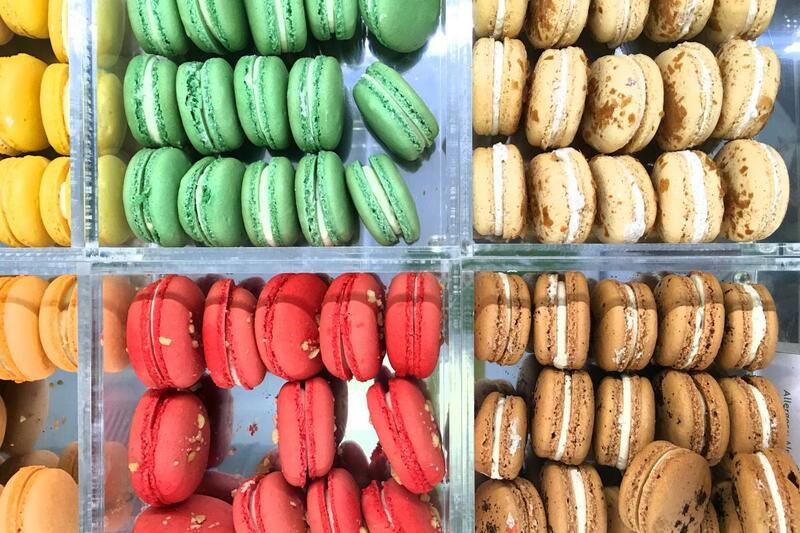 Grab a box of French macarons to-go and split a few of the specialty pastries as a sweet way to top off a delicious dinner. Hint: In the summertime, make sure to try the macaron ice cream sandwich! It’s time to bar hop! Kick things off at the The Green Light. Nestled behind a bookshelf inside The Architect Bar & Social House, this bar has a great speakeasy vibe and is worth the extra effort of finding the secret doorway. Ask the bartender to create something special just for you in this cocktail-lover’s paradise. After polishing off your first cocktail, head to one of downtown Raleigh’s underground bars, Foundation. This cozy spot off Fayetteville St. offers select regional and domestic draft beers, wines and liquors. In the mood for a great night cap? Foundation has one of the most perfect Old Fashioned cocktails in the capital city. Have a drink or two before heading back to your hotel for the evening. What a day! Now, it’s time to get some rest and digest.